If your flight's cancelled or delayed, you may be able to claim compensation and get a refund under the Denied Boarding Regulation. Will my flight delay rights be affected by Brexit? If you're travelling with an airline based in the EU or with a non-EU based airline flying from an EU airport, you're protected by the Denied Boarding Regulation. The regulation states that the airline has an obligation to offer you assistance if your flight's cancelled or the delay is expected to go beyond a certain point. You can also use our free tool to claim flight cancellation compensation. Do you have a confirmed booking? Did you check in on time? Or if no check-in time was given, then at least 45 minutes before your flight was scheduled to depart? Are you're departing from an EU airport, or from a non-EU airport and flying into an EU airport? You also have rights under the Denied Boarding Regulations if your flight was delayed. 1. An alternative flight (airlines call this rerouting) to your destination. If your flight wasn't direct and was cancelled part way through, you are entitled to a flight back to your original point of departure or to be refunded in full. rerouting to your final destination at a later date convenient to you. This right to assistance applies whether you're waiting in the airport or have already boarded and are waiting in the plane on the tarmac. 2. Cancel your flight and get a refund. You can also choose this option if the delay lasts for five hours or more but the flight isn't cancelled. You must receive a refund of the full cost of the flight within seven days. But, once you take a refund the airline no longer has a duty of care towards you and you can't claim back any further expenses you have. If you're travelling with a non-EU based airline flying from a non-EU destination, the airline doesn't have the same duty to look after you. 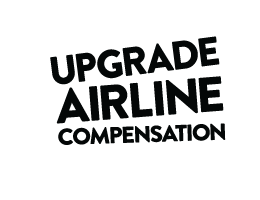 Check the airline's Condition of Carriage to see what compensation you are entitled to. If other airlines are flying you can try to rebook with an alternative airline yourself and claim that back as an expense. But this is risky, and we’d recommend taking this step only once you’ve exhausted all over options. This may only work if your reason for travel is exceptionally time sensitive, such as a child’s wedding or job interview. Depending on the circumstances you may also be able to claim this successfully if you have to wait more than a couple of days for the rescheduled flight you're offered. Importantly, do not cancel your existing booking, this will leave you in a much strong position to claim back the cost of your alternative flight. If you travelled to or from a UK airport and your flight was delayed or cancelled, we can help you calculate what compensation you can claim for free. If there are no extraordinary circumstances, you have the right to claim cancelled flight compensation in accordance with the Denied Boarding Regulation as detailed in the table below. If your flight is cancelled and you choose to be rerouted, you can treat any extra time you have to wait as a delay. Under the Denied Boarding Regulation, what you're entitled to depends on the length of your delay, and how much notice you were given of the cancellation. each affected passenger can also claim compensation if the cancellation is not due to ‘extraordinary circumstances'. Your right to compensation for cancelled flights depends on the reason for the cancellation. If the airline can prove the cancellation was caused by ‘extraordinary circumstances’, no compensation is payable. Extraordinary circumstances are situations beyond the control of the airline, for example, security risk, political instability or severe weather that makes flying dangerous. Delays and cancellations due to a strike by non-airline staff (for example baggage handlers) are also usually included in this category. Strikes by airline staff are not considered an extraordinary circumstance. Although you are not entitled to financial compensation for flight cancellations in these circumstances, you are entitled to the meals, refreshments, accommodation and hotel transfers depending on the length of your flight and delay (as explained above). A drone disruption is a situation classed as an extraordinary circumstance. Unfortunately this means you are not entitled to compensation. However, you are entitled to meals, refreshments, hotel accommodation and hotel transfers depending on the length of your flight and the delay you experience. The Court of Appeal decision in the joint cases of Gahan v Emirates and Buckley v Emirates means passengers flying with a non-EU airline are entitled to compensation if a flight departing from, or arriving in the UK is delayed by at least three hours at the final destination, as a result of a missed connection outside Europe. This means that European guidelines on passenger rights during disruption are now clear, the final destination of a connecting flight is the last airport listed on the passenger's ticket. For example, if you are flying from London to Sydney with a stopover in Singapore and the Singapore to Sydney portion of your journey is delayed by more than 3 hours - or cancelled - you are entitled to claim EU flight delay compensation. If you're booked onto an alternative flight (airlines call this rerouting) to your destination, you can claim for the delay based on your original flight's arrival time. Find out where you fit it, use a flight distance calculator to find out how many miles your flight covers. If you have an unresolved complaint about an airline, it is required to inform you about an alternative dispute resolution (ADR) scheme that you can use. The Civil Aviation Authority (CAA) hold a list of approved providers of ADR and the airlines they cover. Regardless of whether you choose to use an ADR scheme you still have the right to take an airline to the small claims court if you feel it is unfairly refusing your compensation. But it's a good idea to seek legal advice before taking this step. Did you pay with your credit card? You can claim for a cancelled flight paid for using a credit card and with a total ticket value of over £100, if the airline refuses to refund you. Use our template letter to make a Section 75 claim for a cancelled flight.